The EPA/Ecology report relied in part on a May 23rd PSI-sponsored review that surveyed extensive scientific findings on Hood Canal. 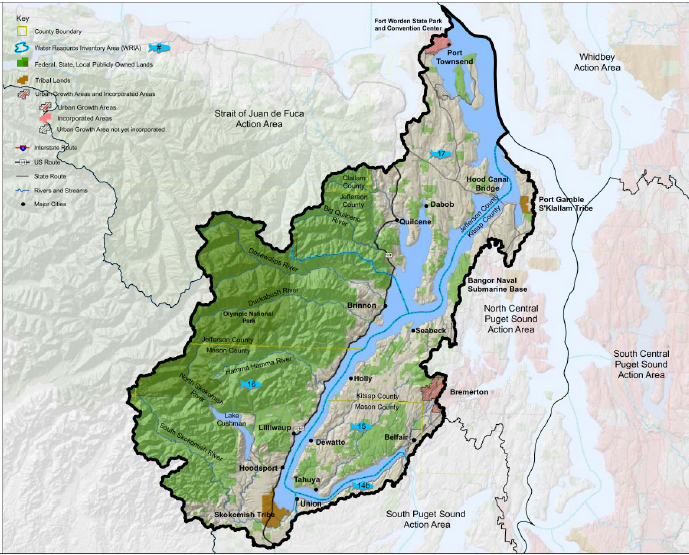 "A consistent finding in the available information is that the greatest human impacts to dissolved oxygen likely occur at the landward terminus of Hood Canal (Lynch Cove)," reads a joint memo from EPA and Ecology regarding the review. "We find that the current impact from human-caused nitrogen releases may be cause for concern, but the available information in this area is uncertain. We hope that by pulling the available information together and identifying the uncertainties, this report helps inform the planning of future studies." Scientists have so far been unable to show that nitrogen loading exceeded the legal threshold of 0.2 mg/L in any specific area of Hood Canal, and governing agencies have concluded that a TMDL regulatory process is not warranted at this time based on the current evidence. [Read the final report.] Concerns remain among experts, however, that population increases in the area could increase nitrogen levels in the future. Local, state and federal leaders will continue to examine ongoing scientific findings, and will convene to discuss a variety of policy and regulatory options once a report is made final, according to Ecology. The review was convened by PSI Director Joel Baker and research scientist Andy James at the request of EPA and Ecology, and featured a report authored by a panel of six nationally recognized experts: Dr. Alexandria Boehm, Stanford University; Dr. Paul Harrison, University of British Columbia; Dr. James O’Donnell, University of Connecticut; Dr. Hans Paerl, University of North Carolina at Chapel Hill; Dr. Ivan Valiela, Marine Biological Laboratory, Woods Hole.